Spring UK Tour with Helen Arney! !!! Important: Change of Venue London 2nd April! See details here!!! 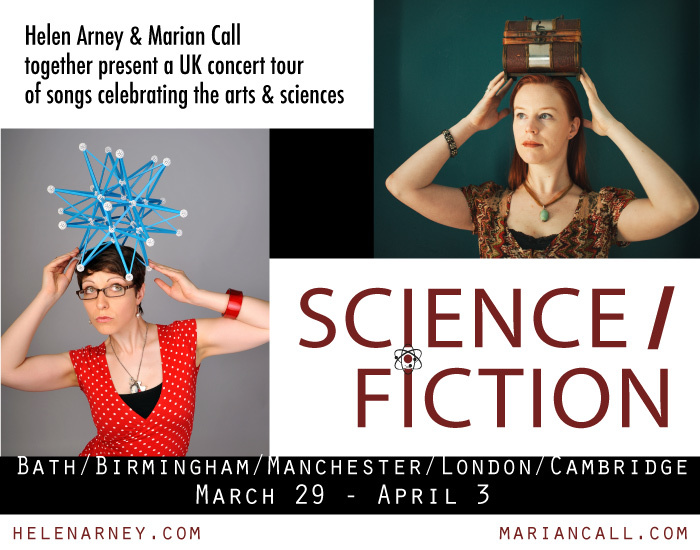 Musicians Helen Arney and Marian Call team for a UK tour! Presenting an acoustic concert series for those who like their heartfelt songs with a side order of wit — and comedy songs with a sensitive heart. 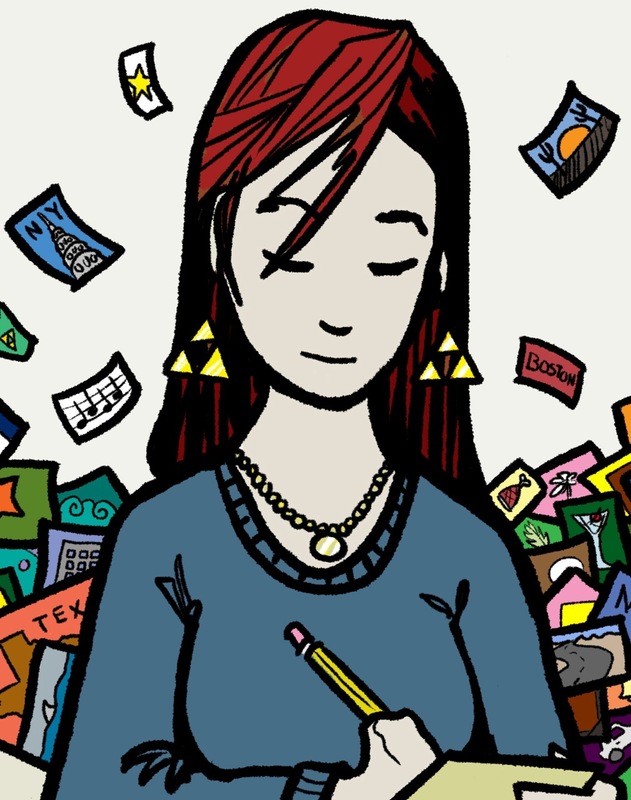 Don’t miss this very special double bill of geek songstresses from across the globe. Alaska’s geekiest singer-songwriter Marian Call hops across the North Pole for a rare UK tour, al0ng with notoriously skilled guitarist and songwriter Scott Barkan from New York. For nearly all their UK shows they’ll team up with Helen Arney, one-third of science comedy phenomenon “Festival of the Spoken Nerd” and Cambridge Science Festival regular. 31st March in BIRMINGHAM* // 6/8 Kafe, 19:00, £10-15 recommended – this show features only Marian Call, Scott Barkan, and B’ham songwriter Chris Cleverley for a showcase in the round. Helen Arney will be away but rejoins April 1st. 1st April in MANCHESTER // Nexus Art Cafe, 20:00, £10-15 recommended at the door. This show features Katie Steckles and her singing floppy drives! 3rd April in CAMBRIDGE // Cambridge Junction, 20:00, get tickets now. This show features science slam poet & Quidditch player Robin Lamboll! More show details at https://mariancall.com/shows, Facebook events (RSVP! share!) at https://www.facebook.com/mariancallmusic?sk=events. Write to marian@mariancall.com for questions or to volunteer and promote!